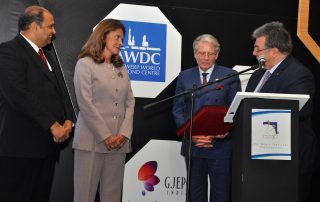 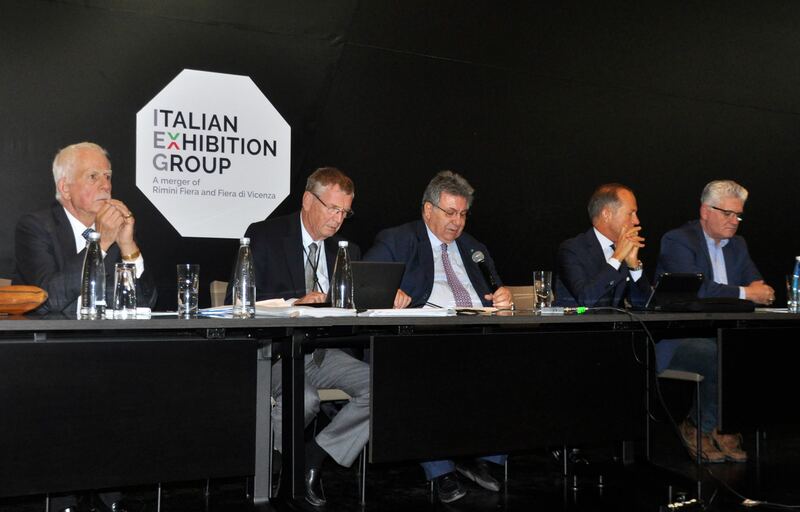 October 17, 2018 During the concluding General Assembly session on the final day, CIBJO President Gaetano Cavalieri described the congress as most successful, noting that significant work had been accomplished in driving forward the business and social agendas of the jewellery and gemstone industries, and in particular preparing them for the marketplace of the years ahead. 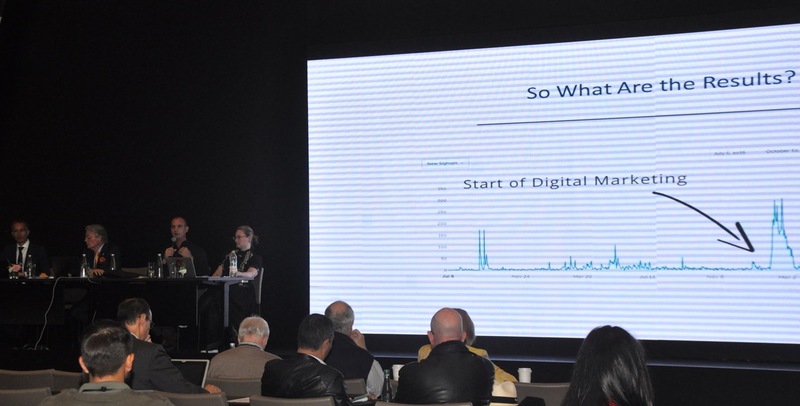 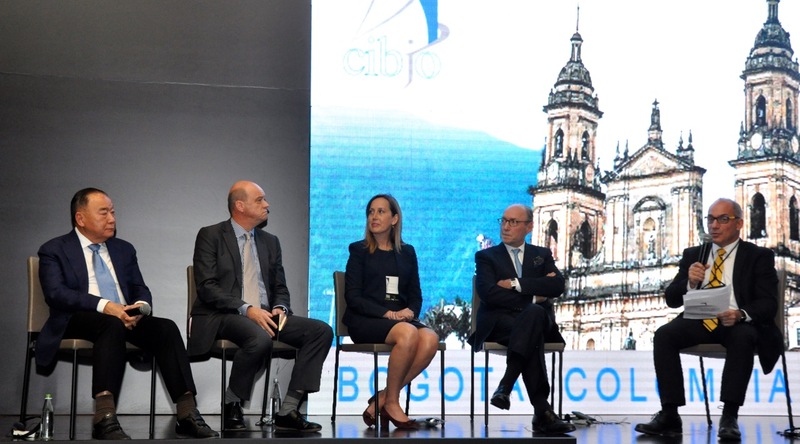 October 17, 2018 The morning of the third and final day of the 2018 CIBJO Congress focused on the Colombian jewellery sector with presentations by the Chamber of Commerce of Bogotá and the Colombian emerald mining industry. 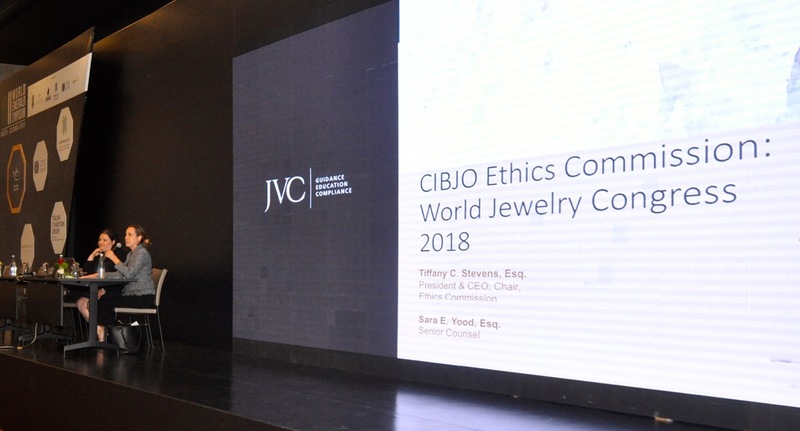 A special panel featuring CIBJO delegates discussed how the Colombian jewellery industry would benefit from adopting responsible business practices. 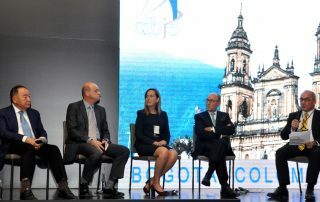 October 17, 2018 The Vice President of Colombia was a guest of the CIBJO Congress on its third and final day. She addressed delegates, as well as about 200 local members of the Chamber of Commerce of Bogotá’s Jewellery Cluster. 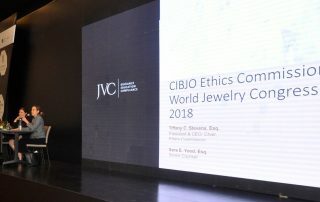 October 16, 2018 Issues relating to definitions of platinum and gold fineness levels, as well as disclosure of rhodium plating, were at the heart of the Precious Metals Commission meeting on the second day of the CIBJO Congress. 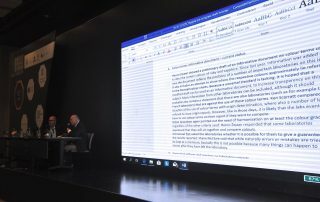 October 16, 2018 The FTC guides do not have the power of law, though they do attach to a law preventing misleading advertising. 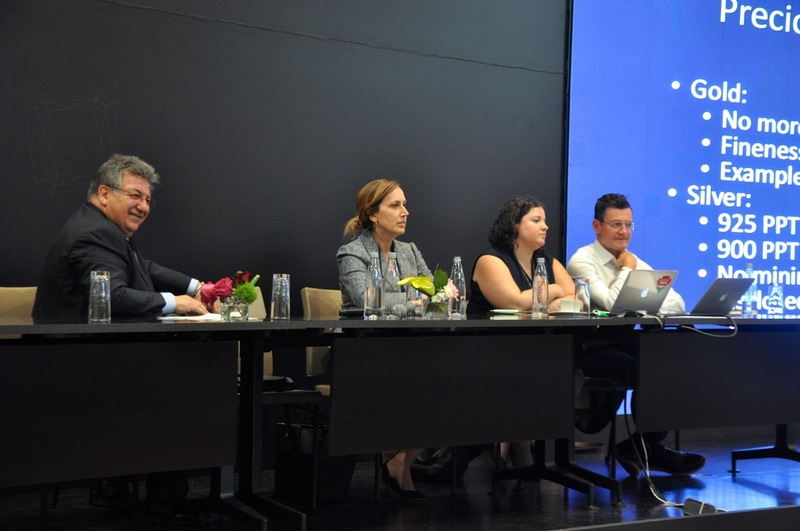 The revision process is closed, although the FTC can reopen consideration of any element of the guides at any time. 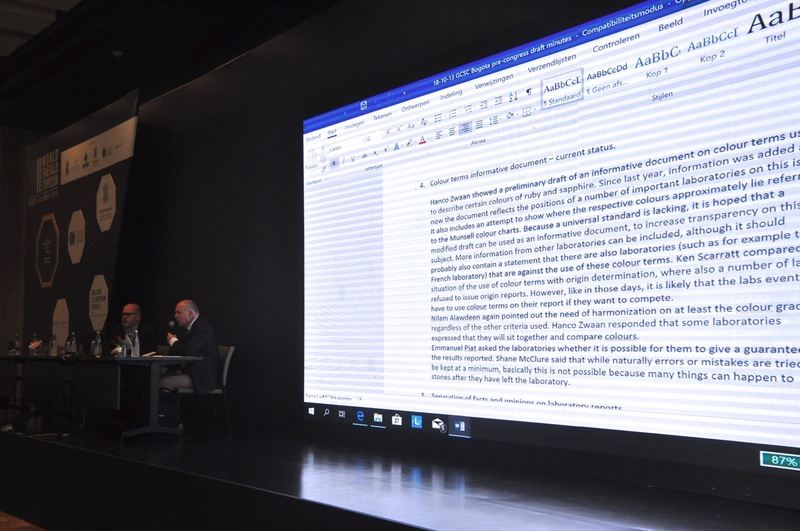 October 16, 2018 The survey showed that the nomenclature used about the nature of the stones described is generally clear, but there are some inconsistencies in the precise terms used, and whether or not synthetic and treated stones are actually graded. 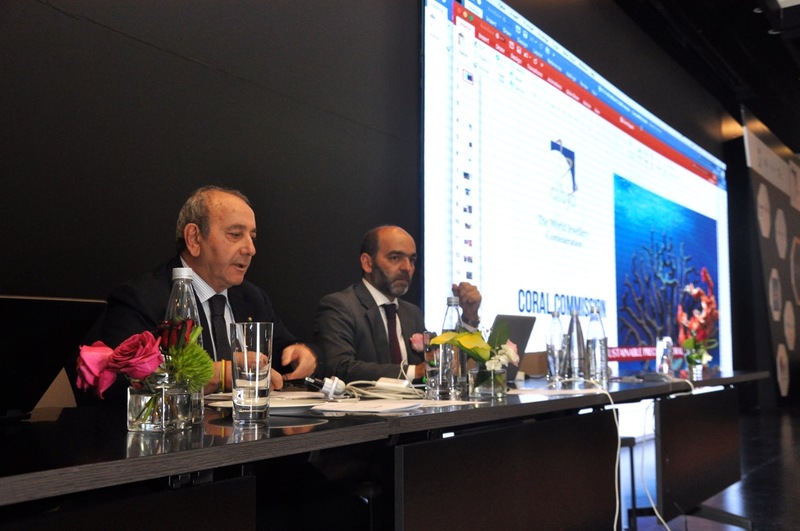 October 16, 2018 While precious corals are deep-water species, and are not under immediate threat from climate warming and ocean acidification, the commission hopes that the public profile of precious coral jewellery and scientific initiatives taken by its members will raise awareness and provide solutions for the plight of the shallow-water coral reefs. 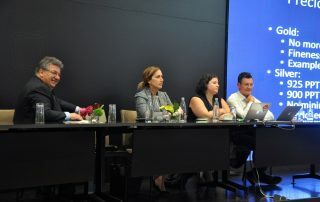 October 16, 2018 CIBJO's Do's and Do Not's guide for retailers was also presented. 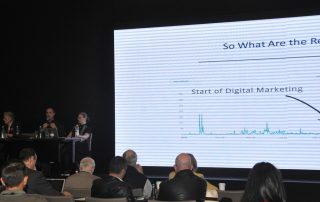 It reviews what people who trade in pearls should and shouldn't do, and has a table at the end about treatments.